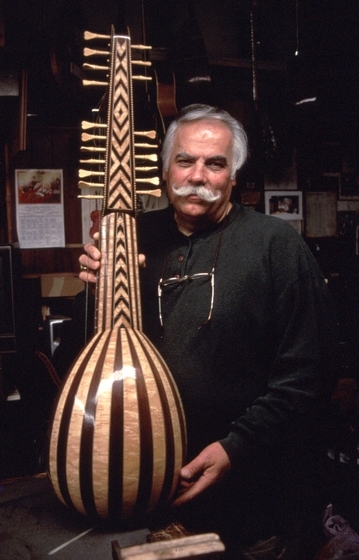 Peter Kyvelos' father, a Greek immigrant, worked with wood as a hobby. Kyvelos describes his dad as "a hands-on kind of guy who taught me how to use the tools." His mother, the daughter of Greek immigrants, "was always very creative" and supported his own creative efforts. "We got National Geographic when I was a kid, and I'd see things I liked and would try to make them," he says. "So while other kids were out playing baseball and football — I was 8 or 9 at the time — I'd be on the back porch carving things out of wood." His father also played traditional Greek tunes on the violin, and Kyvelos was intrigued. He took lessons for several years until forced to stop by a medical condition involving his neck. Inspired by Elvis Presley, he saved up for a $19 guitar. 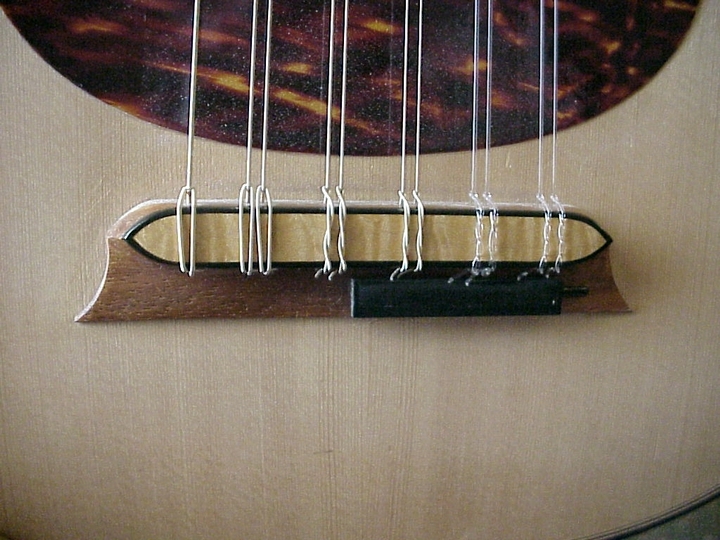 He taught himself to play it but didn't like the feel of the metal strings. 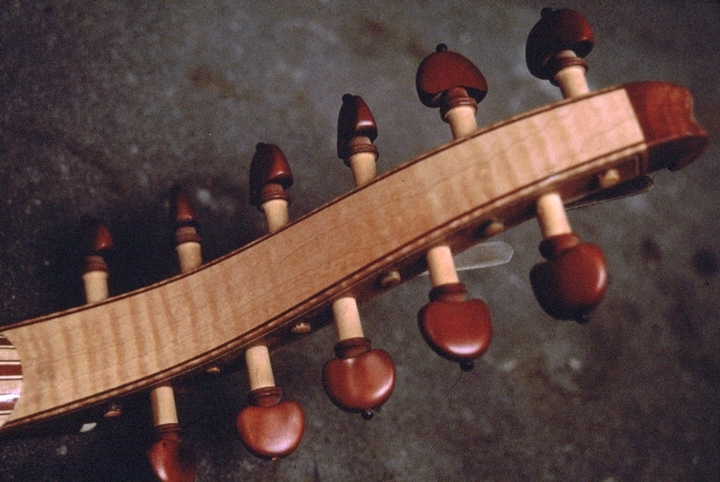 His quest for an instrument to play ended when he went to a dance with an Armenian friend and heard an oud being played. "I said, 'That's it, that's the instrument I've been looking for,'" he says, "and I just had to have one. It was love at first sight — or sound." 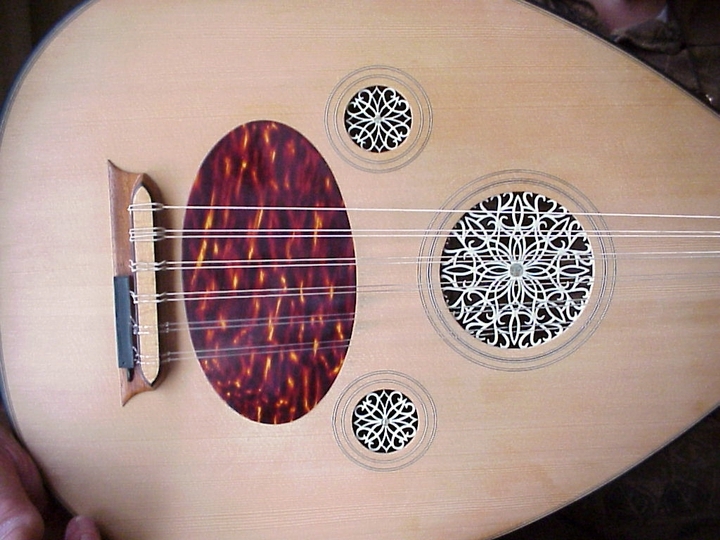 The oud, a precursor of the lute, is probably Byzantine in origin. It was introduced into Europe by the Moors and exists in various forms throughout Turkey, Armenia, Iran, Bulgaria, Greece and many Arabic nations. 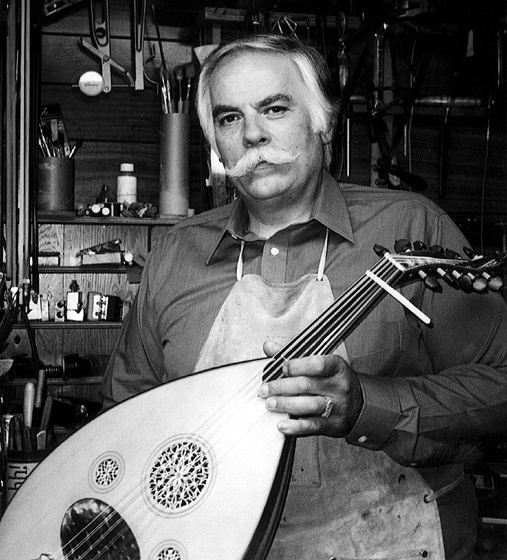 After getting his first oud at 16, Kyvelos learned to play it and make minor repairs. 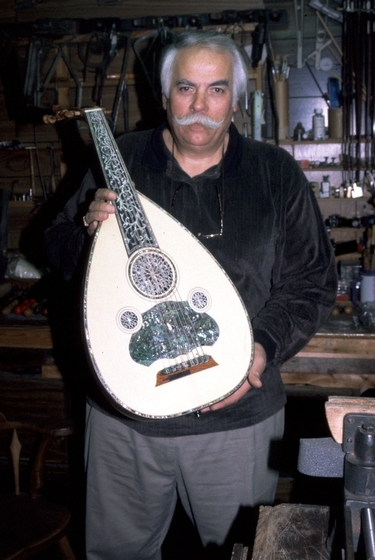 By the time he started college in California in 1962, he was playing professionally and had restored almost 100 ouds, as well as other instruments. He paid his way through college by continuing his repair work, restoring violin bows and playing oud in nightclubs in San Francisco's North Beach area. 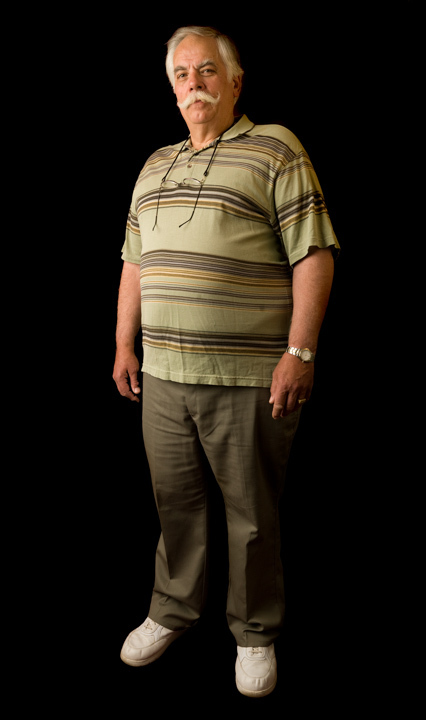 Kyvelos returned home tp Fitchburg, Massachusetts, in 1970 and set up shop in his mother's basement. The next year, he moved to Belmont, near Watertown, known as "Little Armenia." 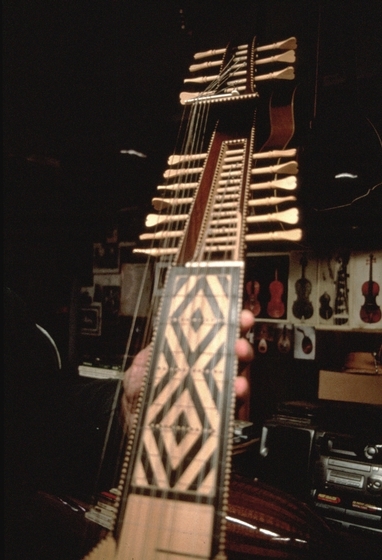 He has built at least 165 ouds at an average of 150 hours of work per instrument. His creations are known in particular for their distinctive rosette designs. 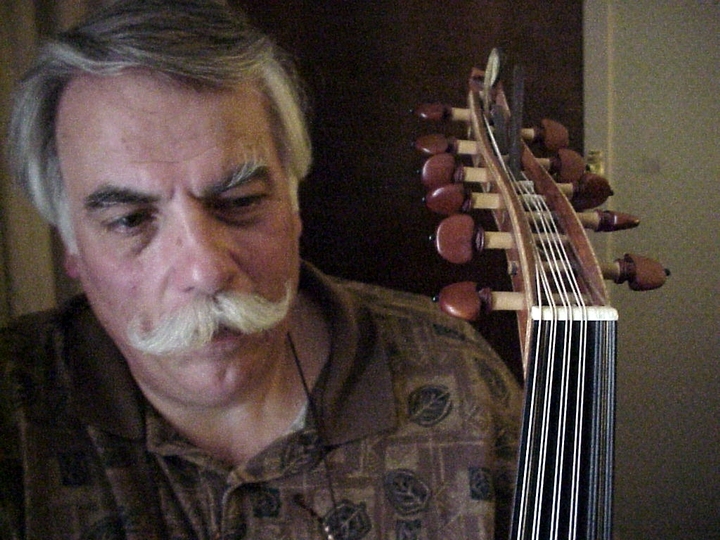 He has received considerable recognition, but says the highest compliment came in 1989 when his friend Richard Hagopian received the National Heritage Fellowship and performed with one of Kyvelos's ouds. 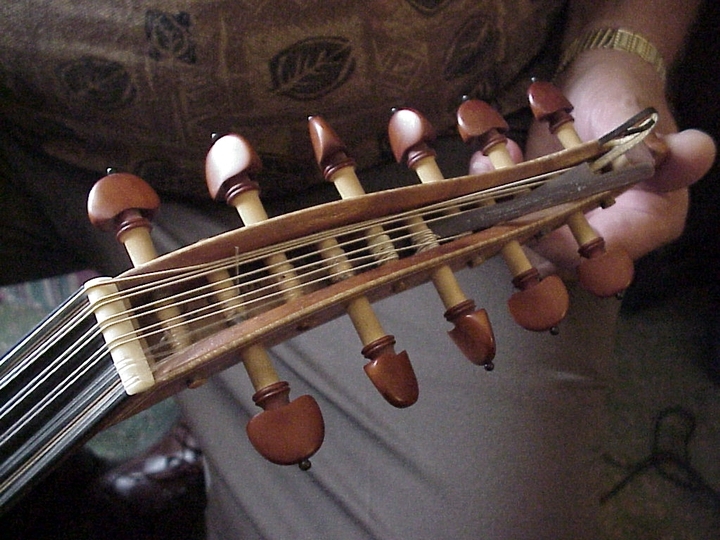 Hagopian refers to his friend as "the Stradivarius of oud making." After years of making instruments, Kyvelos still derives considerable satisfaction from the process. "Then, when the instrument is scraped and sanded down to the point where it's ready to receive its varnish or lacquer, you know that the next thing you're going to do is see the whole thing come alive. It's almost like a birth. 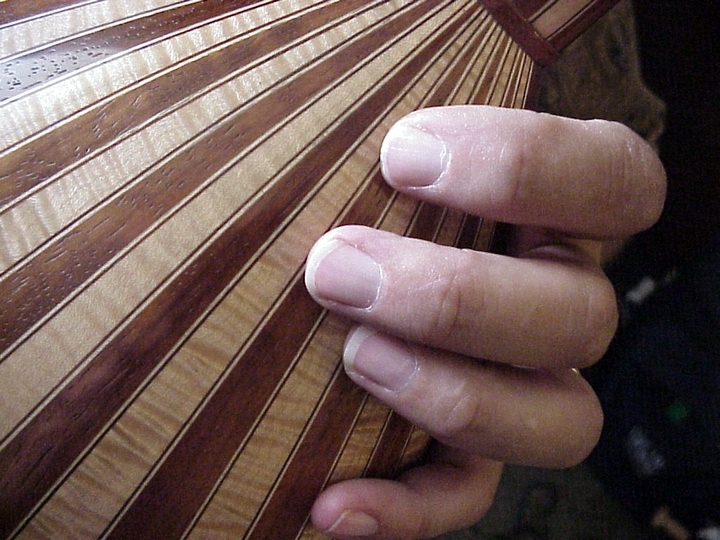 You're hand-applying a coat of varnish, and the moment you do, the wood starts to sparkle with all those little things you knew were in there — the little knots, the little twists, and the little characters in the wood. It's magic," he says. "But the most important thing, of course, is when you've created an instrument and strung it up and it goes into the hands of a professional, and then you see that professional sitting up on a stage playing your instrument. There's a certain amount of pride that you get; nobody has to say anything.... What matters is between me, the instrument, and the person playing." Alarik, Scott. "Their Mission: To Keep Folk Crafts Alive." Boston Globe (May 28, 2000). 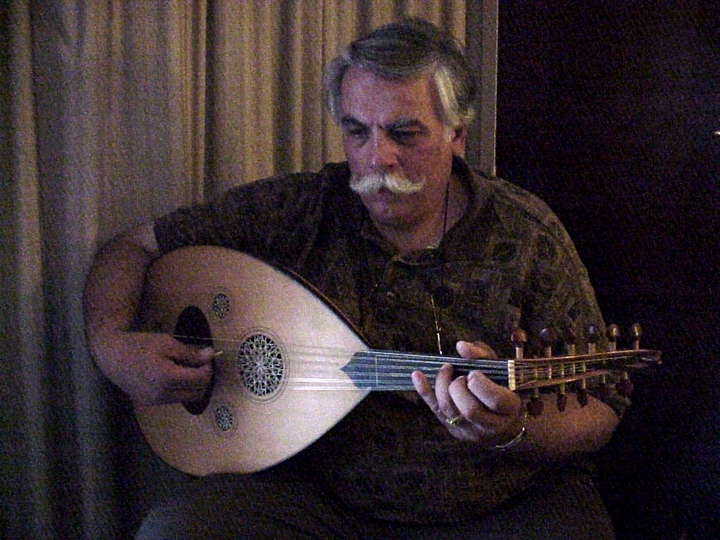 Montgomery, M. R. "A Journey Through the World of Greek Music." Boston Globe (April 3, 1998).